The ability to resell seats has become a key factor in any season-ticket-buying decision. An interesting development in Las Vegas provides something for NHL fans here to chew on before splurging on season tickets. The expansion Vegas Golden Knights have been an unqualified first-year success on and off the ice and have made the playoffs. 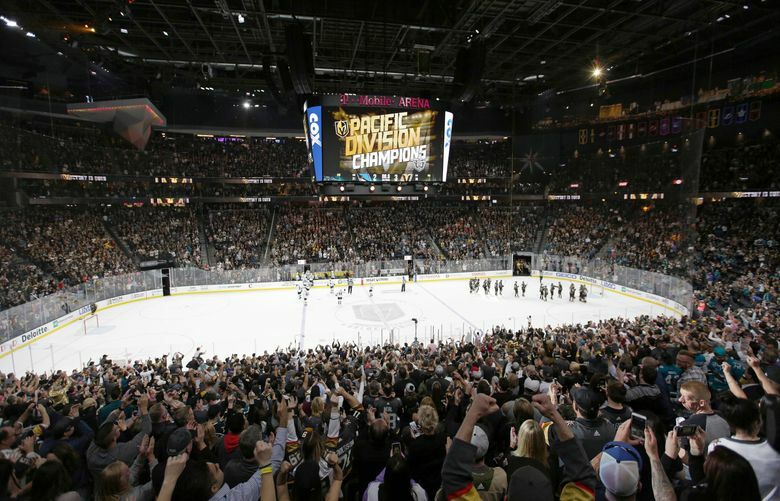 But a big reason for their strong ticket sales is the transient nature of the team’s fan base and the willingness of supporters of myriad NHL teams and visiting tourists to attend games in Sin City. To attend those games, visiting fans have to buy tickets someplace. And they’ve been doing it in droves all season, snatching up seats that Knights season-ticket holders make available for resale. But now, with the team embarking on a Stanley Cup drive, Knights owners aren’t keen about having playoff games filled with opposing fans. So they’ve offered an interesting solution: Give season-ticket holders who take a “Knights Vow’’ not to resell seats through the team’s StubHub official secondary market partner a specially discounted playoff price. Fans that opt out won’t get the discount. At first, this seems an ideal compromise. It’s far better than some sports teams that block sales to fans outside of specific area codes or force season-ticket holders to resell only on certain partner platforms. But it’s still a restriction of sorts. And that’s something fans here should be aware of before making the very expensive decision to buy season tickets for the NHL expansion franchise expected in June. Simply put: the ability to resell seats has become a key factor in any season-ticket-buying decision. But being allowed to make those sales is hardly a constitutional guarantee. Teams employ fine print to warn they can revoke your season tickets at any time for a host of transgressions — some of which include reselling seats. We’ve seen the Seahawks use this “revocable license” rationale to crack down on ticket brokers the past few years. The team pinpointed season-ticket accounts they identified as held by brokers because of resale patterns and pulled them. And they aren’t the only team doing it. A few weeks back, an online ticket broker in Maryland filed a lawsuit against the New York Yankees alleging the team had revoked 52 season tickets from the company merely because it intended to resell the seats. And if it can happen to brokers, it can happen to fans. It already has. Teams nowadays use complex analytics to track where and how often season tickets are being resold. Last year, the Chargers implemented a no-resale policy that deemed any season tickets should be primarily used by the holders and their guests. Anybody reselling too often could be targeted for revocation. The Denver Broncos last year also stopped renewing season-ticket accounts shown by analytics to have resold seats too often. Broncos officials said they primarily had targeted account holders who attended zero games in 2016. But it’s the teams that make the final call as to how many resold games is too many. Which brings us to the expected Seattle hockey franchise that’s already taken 33,000 season-ticket deposits. It’s too early to know what the team’s resale policy would be — after all, it isn’t even officially a team yet — but that’s something the prospective Oak View Group owners and partners should make clear before they start selling ticket packages. The largely gate-driven NHL charges some of the highest ticket prices in sports. So when you’re shelling out $10,000 for a pair of lower-bowl season tickets along the blue line or $20,000 near center ice, the ability to offset that through resale would be a factor. Also, we might not have the tourist-driven fan base Las Vegas does, but there are indications a significant part of Seattle’s prospective fan base hails from other hockey cities. So while Seattle transplants from New York, Boston, Chicago and Detroit — or, ahem, some of us potential season-ticket buyers originally from Montreal — might relish seeing the Rangers, Bruins, Blackhawks, Red Wings and Canadiens in person at KeyArena, the new hockey team likely would remain the fans’ second-favorite team. And that means, while loving hockey and seeing it in person, those fans likely would use a good dozen of the 41 home games to recoup some secondary market money. I mean, we’re not just talking eight NFL home games. Even the most diehard fans of the Seattle Kraken, Totems, Steelheads, Metropolitans or whatever the new NHL team is called would be hard-pressed to attend all 41 home contests. Not to mention, reselling a hot playoff ticket can significantly subsidize the yearly cost of maintaining your account. If that sounds like a business approach, well, it is. How many nonmultimillionaires can afford $10,000 annually for lower-bowl seats without making some money back to offset costs? The Knights appear to recognize they can’t be too heavy-handed about reselling to opposing fans. Prodding on-the-fence Knights fans to forgo reselling and actually attend playoff games instead by offering discounted seats is far better than banning resale altogether and perhaps losing a chunk of your season-ticket base that needs the resale income. Likewise, the new Seattle team must also tread carefully on resale. The alternative is marketing only to born-and-bred Las Vegas and Seattle hockey fans. Good luck with that. One city has never had major pro hockey and the other has gone a century without it. It’s far easier to recognize your customer base already consists of fans of other teams. Even if it means giving a bunch of season tickets to longstanding Red Wings and Blackhawks fans now living here and watching them resell to visiting Los Angeles Kings and Vancouver Canucks supporters a dozen nights per year.